THE deposit base for Finance Bank Zambia (FBZ) has grown from K 1.009 billion in October 2011 to K2.048 billion by March 31 2014. FBZ chief executive officer Barkat Ali said during a luncheon hosted for members of the Chipata and Katete business communities at Chipata’s Protea Hotel on Tuesday that the deposit base was a testimony of the confidence that the customers had in the bank. Mr Ali said the bank had continued to record increase in the number of customer accounts from 112,000 in 2011 to more than 152,000 as at March 31 2014. He said the bank introduced a deposit mobilisation campaign in September 2013 to run up to May 31 this year with the objective of promoting a culture of saving in the community. He said the bank would not only continue to expand its branch network but was the only bank in several districts with outlets of more than 55 and a growing number of Automated Teller Machines (ATMs) currently at 91. 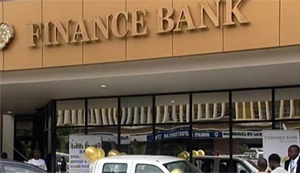 Mr Ali said the bank was in the process of opening seven new branches in Mansa, Mongu, Monze at Rusangu University, Lusaka’s Woodlands area, Zambia Revenue Authority’s Mpendwa House in Ndola, Lundazi and Petauke to bring to the number of outlets to 62 by the end of the year. 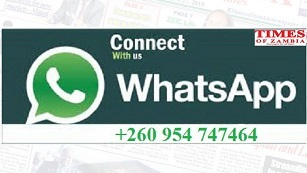 Eastern Province Minister Malozo Sichone said Government was mindful that economic development could only be achieved if a robust financial services environment was available. Mr Sichone said financial services offered the general public the means to develop income generating activities as well as improving household incomes and living standards. The minister said financial inclusion was the only way of driving economic development, saying the bank had been resilient in both economic and social development of the nation. The luncheon was attended by several business communities drawn from various sectors of the economy.